Whether you’re still struggling to stay within your personal budget each month or just want to get better at managing your money, you need to put together a realistic budget and set some goals that inspire you to stay on track. If you’re a chronic spender or a person who can’t seem to forecast monthly expenses accurately, you might always find yourself running out of cash. Adopting some healthy money habits might take time, but there are several things you can do to maintain a positive cash flow month after month. What are the weekly must-haves expenditures you “need” to make versus things you simply “want” to buy? Create a list of items that are on your “to buy” list and identify them as necessities or luxuries. Prioritizing your purchases in this way each month can help you determine what you can actually afford, and what you need to save up for and buy later. Don’t shop without a list of planned purchases! #2: Be realistic about your savings goals. Can you really save $50 per week on eating out or entertainment, or are these activities an unavoidable part of your lifestyle? Be honest with yourself so that you can set some realistic savings goals. It’s often very difficult to go “cold turkey” and completely eliminate some aspects of your spending. So first identify how much you’re spending on the extras, and then figure out what you will really feel comfortable giving up in order to reach your savings goal. Eliminating some of your favorite activities entirely can make you feel deprived – and prone to overspending in other areas. Don’t make that budget spreadsheet overly complicated. You need to be able to reference your budget on a whim so you have some guidelines to work with when you decide to purchase something or are interested in buying a high-ticket item. #4: Include a “miscellaneous” category. Work a ‘miscellaneous expenses’ category into your budget so that you can account for small and unplanned-for expenses for the week. These could be items such as cleaning supplies or ingredients from the grocery store you need at the last minute, extra gas for a few extra trips you take during the week, or some snacks that you forgot to pack for the day. Making this fund available will help you ease up a little with staying on budget but will still keep you on track. On the flip side, a failure to account for a “miscellaneous” category in your budget can be a budget killer. After all, those small, random expenses usually add up to a big chunk of money by the end of a month. Get into the habit of tracking all purchases and expenditures; ideally you would do this as you make them. I know this is a hard task, but try to do what’s comfortable and realistic for you. It’s best not to wait until the end of the week to log very important receipts or the end of the month to figure out how much you spent or saved. Tracking your spending as it happens will make you more conscientious about your spending habits – and might even encourage you to spend less. #6: Work with a cash-only mindset. Break the credit card habit and make sure you’re only spending money that you have. Don’t buy anything on a credit card or attempt to pay bills with your credit card until you have your budget fully under control. Your budget needs to accommodate all of your living and entertainment expenses, and be flexible enough to accommodate for any expenditures beyond that. Credit cards can sometimes become a crutch that people rely on to spend beyond their monthly budgets. 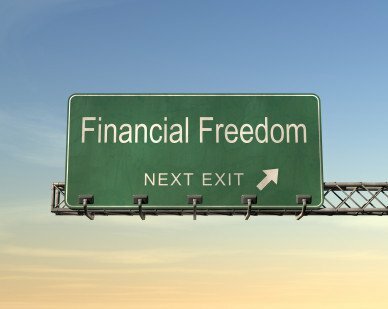 Don’t let yourself fall into this financial trap.